This fantastic model portrays some of the ambiance seen during 2012 in the Diamond Jubilee celebrations. 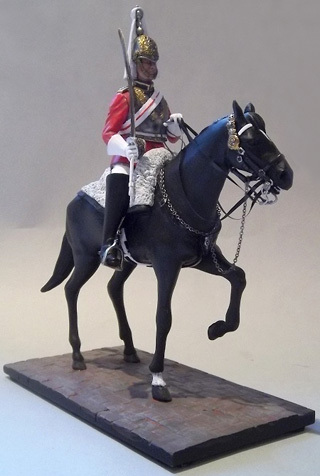 The detail is fantastic, particularly the horse�s bridle and harness. The kit comes with full instructions and a detailed picture of the horse harness. The resin and white metal parts are perfectly cast to make a colourful model that will enhance any collection.